OTTAWA, Ont. – Women With Drive will welcome Angela Mondou, author and leader of the national charitable organization Canada Company, as the keynote speaker at its March 3 summit in Toronto. 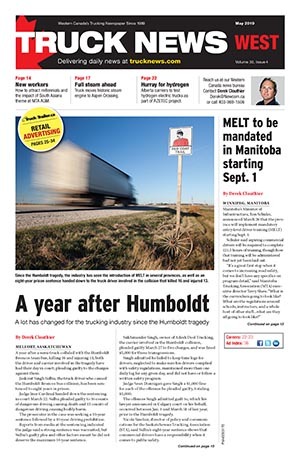 A former Air Force captain, Mondou works with Canada Company to help members of the Canadian military make the transition to civilian careers, which could aid in the ongoing driver shortage issue. In addition to her service, which brought her to Yugoslavia and Operation Desert Storm, Mondou is armed with 18 years of experience as a business executive and entrepreneur, nine years as a logistics officer and a marketing executive, where she helped launch the 7230 Blackberry smartphone on the Oprah Winfrey show. Those who attend the summit will receive a copy of Mondou’s book, Hit the Ground Leading! 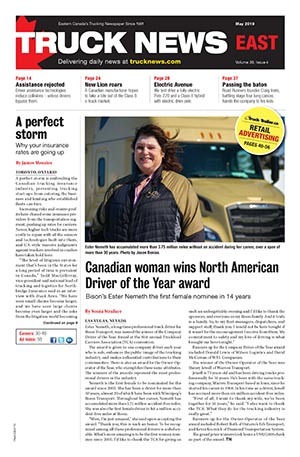 Women With Drive recruits, retains or mentors women in the Canadian trucking industry.